Michael Benson is a leader, keyboardist, guitarist, and lead vocalist for the Michael Benson Band. Below, Michael walked us through some facts regarding the costs and benefits of having live wedding songs for your big day. Please introduce yourself and your band, Michael Benson Band, to our readers! I’m Michael, leader, keyboardist, guitarist and lead vocalist for the Michael Benson Band. I’ve been in the wedding songs industry for 42 years and have played for over 2,300 weddings. 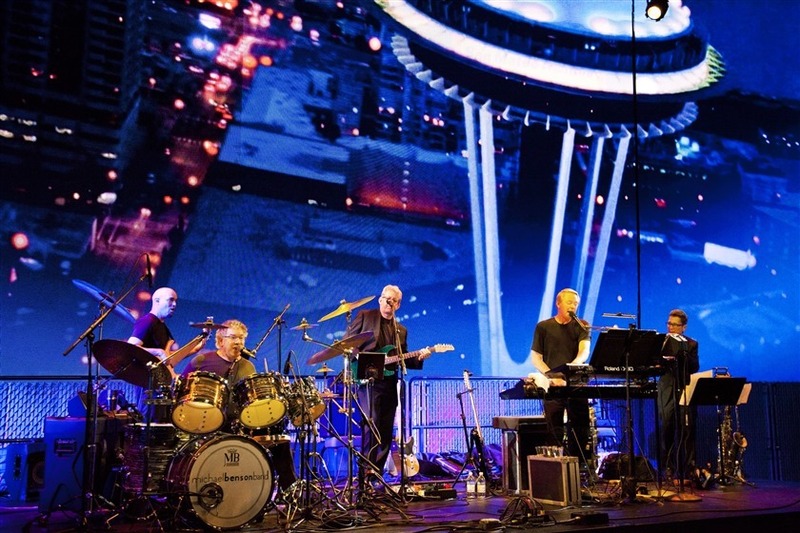 We are the most award-winning band in the Northwest… Best of Seattle Bride for 13 straight years (2004-2016), Best of The Knot (2008), Best of Borrowed In Blue 2016, 2017, Best of My Wedding (2013, 2016). How did you start your music career? At age 12, I began my professional music career on Mercer Island as a lead singer/lead guitarist in a rock ‘n’ roll band called “Spring Fever.” I then went on to earn a B.A. in Music Education and a Masters in Choral Conducting at the UW School of Music. I taught public school music for 29 years in Seattle and Shoreline, WA, while always leading The Michael Benson Band. My band members’ bios are here: http://michaelbensonband.com/band/. The band members all had amazing experiences. What do you enjoy the most about playing wedding songs? The merging of two families and their communities in marriage is the glue of society. The best thing about my job is being able to create energy and excitement for the most bonding, unforgettable wedding songs most people will ever experience. And hearing about it again when I see former clients many years after is the BEST! How did you get started with the wedding songs? I began playing rock and roll with my Mercer Island friends for high school dances and in college formed a trio playing at local social clubs for parties and weddings. When I was a sophomore at U.W., I offered to play one night at a club for free and said, “if you like how I sound, you can have me back again for pay”. And they did. The next 42 years have been steady expansion and growth stemming from that first night at Sand Point Country Club. What are the top three reasons the couples should hire a musician or a band for their wedding songs? Uniqueness and memorability: having a wedding band certainly creates an unforgettable experience. The level of energy and excitement created by live wedding songs is just unparalleled. Repertoire: a good wedding band will have a long wedding songs playlist and will be able to perform in a variety of styles. What are the most common questions that couples ask you? How much do you charge, do you play special wedding songs requests, are you familiar with our venue, how many breaks do you take and for how long, and how/when can we hear you? 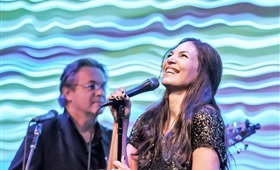 Couples should always ask, “will the band play with the same musicians every night, or will the main leader/singer appear on their night?” Some bands are franchised, contracted, or put together on an “as available” or ”rotational“ basis. Often, they’ve never actually all been on stage together! The Michael Benson Band is stable, polished, and tight because we always play together - night after night. What are the main parameters that differentiate wedding musicians? EGO: The main difference is probably ego vs. unselfish service. I operate on the latter. I don’t sing wedding songs that I feel like singing or because I like them - I choose wedding songs that work for the particular crowd mood in front of me, at every moment of the event. SETLISTS: I never make a wedding songs setlist - ever. Instead, I read the crowd vibe as I go, choosing the next song or wedding songs ahead while I'm in the middle of the present song. Following a pre-set wedding songs list is a guarantee of failure in connecting with a crowd and maintaining a relationship with them. PACING: I’m perhaps one of the only leaders who moves the band through wedding songs on hard-count segues (i.e. mashups) the way a DJ does, without a micro-second of pause. UP TO DATE: Great wedding musicians stay current with wedding songs that might seem too hard, or too unlikely for a live band to pull off. If you legitimately cover jazz and Sinatra, Macklemore and Beyoncé, Eminem, Usher, Earth Wind And Fire, Michael Jackson and Bruno Mars, and everything else in between those, you’re doing a great job. 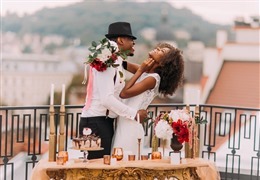 A good wedding service provider shows warmth and kindness, not arrogance, in conveying confidence in their ability to sense a couple's interests and assure them their event goals will be achieved. They can also point out tips to help the party succeed or issues to avoid that will hinder their event, assuming they have seen both aspects many times. 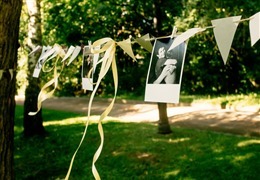 Out of all the weddings you’ve done, which was the most memorable wedding for you personally? Playing wedding songs at 11,000 feet elevation in Aspen, Colorado and maintaining the necessary energy in the very thin air for 5 hours. I’d never before played a couple down the aisle with my portable keyboard from a grassy slope, looking over a ski slope and across the Rocky Mountains. That was memorable. And what was the most unusual wedding for you? The marriage of a Chinese/American woman to a Jewish man, where I sang a Chinese folk song in Mandarin, a 30 minute Israeli Hora Dance medley, and all the Sinatra Big Band up-to modern hip hop and rap at The Golf Club At Newcastle. The Chinese family gave me a standing ovation, and the Jewish father told me that was the best hora he had ever heard, EVEN IN ISRAEL. And the rest packed the floor until 1:00 am. Which portion of the process keeps you busy the most? I spend the most time with client communication, online promotional work, and special wedding songs preparation well before the event. Most people have no idea I’ve spent 5-10 hours on their wedding songs BEFORE I arrive at the venue. And for a full-service wedding lasting 5-ish hours, I will be gone for 10-12 hours total including travel, load-in/load-out, setup/tear-down, and, of course, the performance itself. What does a wedding itself look like for a wedding musician or a band? Once on site, I keep the couple and the rest of the wedding team - including the venue staff - always in my sight, striving to make everyone’s job go smoothly and successfully as if they were on MY team. And, actually, they are. Even table servers are our friends. As for my band, they expect we'll work extremely hard, play long classic wedding songs sets with few breaks, and smile throughout the process to ensure the night is unforgettable. That’s great! What services do you offer and how much do they cost? We provide wedding songs service for all elements of the wedding: ceremony, cocktail hour, dinner, dancing, and emcee service, plus a custom mp3 break music. A standard 4-hour Saturday night minimum reception service is $4,000 for our quintet, and $4,300 for our quintet +1 (our female vocalist option). 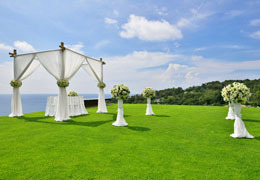 A rehearsal dinner or wedding ceremony are add-on services. Do you offer any packages? My full-service package includes wedding songs for the ceremony (solo or duo), jazzy cocktail hour (solo, duo, trio), background dinner set and dance party (quintet), mp3 break music mixes (iPod), and continuing MC service throughout the event. 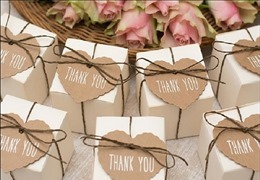 And finally - if you could ask one thing of the grooms and brides that would make your job easier, what would it be? Just give me your favorite list of wedding songs requests and leave the rest of the music programming and pacing to me. Don't over-script or over-manage our repertoire, wedding songs lists, what we play and when we play it, etc. Let me read the crowd and create a jam-packed dance floor for a durable party vibe. I've played for over 2,300 weddings. I’m at my best when I’m free to create a connection - a "telepathic rope” to the audience that never goes slack. Learn more about Michael Benson Band and see what they have to offer!